Pioneers in the industry, we offer bottle type cooling tower from India. 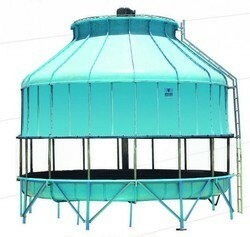 We are the manufacturer and supplier of a huge variety of Bottle Type Cooling Towers. They are manufactured under the supervision of highly professional workers by using high class of raw materials which are procured from trustworthy vendors in the market. We are available with these products in different specifications. We are dealing in these products in all over India in huge quantity as per client need at reasonable prices. Kindly contact us for more details.